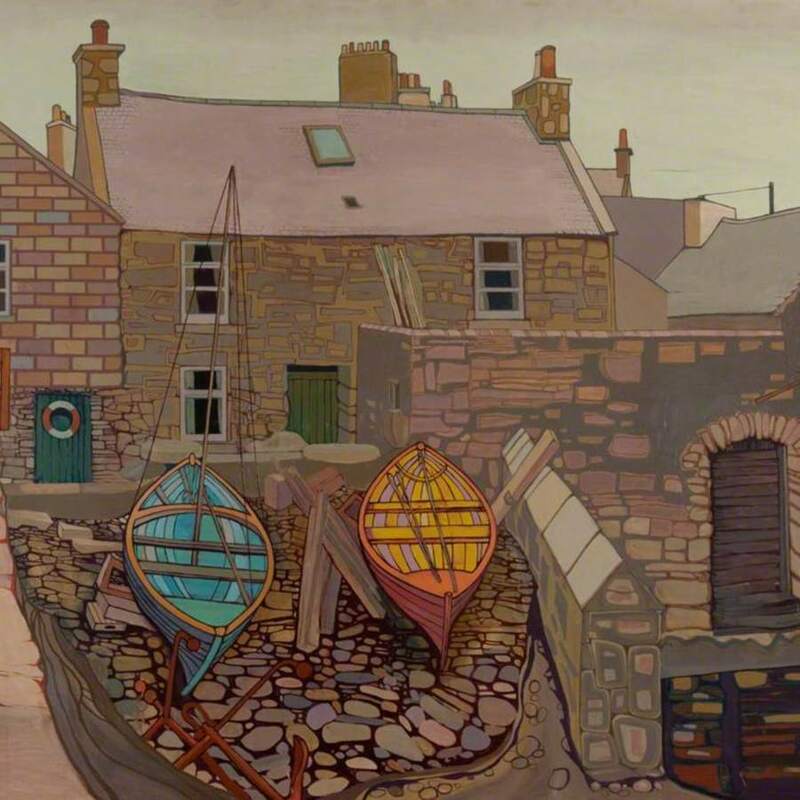 Scene of an area known as the Lodberrie in Lerwick. 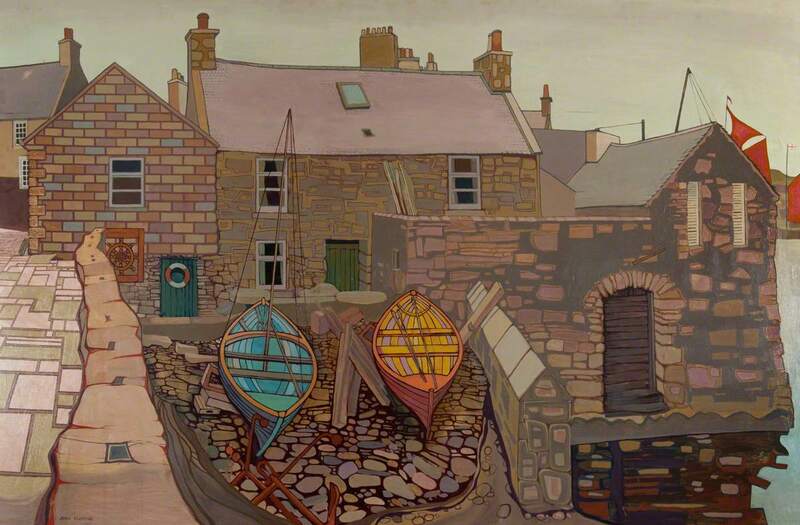 Fleming; Jean (1937-1988); Artist, “Harbour Scene,” Heritage, accessed April 24, 2019, https://heritage.rcpsg.ac.uk/items/show/343. Description: Scene of an area known as the Lodberrie in Lerwick.